What’s happening with several vacant buildings in Idaho Falls? IDAHO FALLS – Changes in the business landscape of Idaho Falls have resulted in several vacant buildings around town. 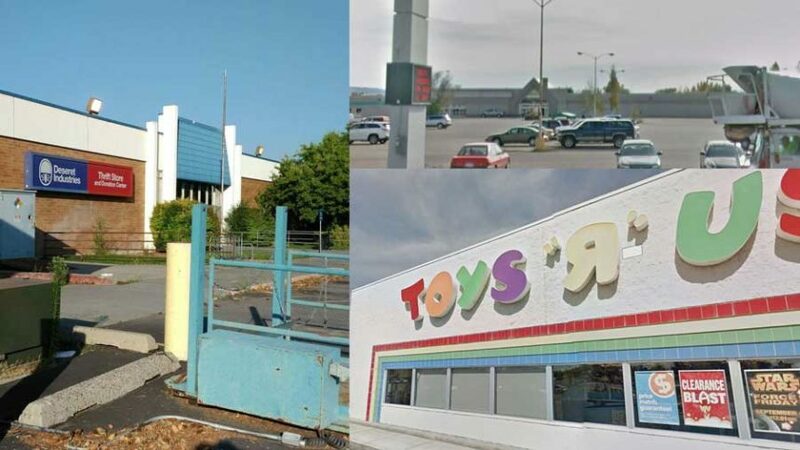 The Toys ‘R’ Us store on 17th in Idaho Falls is now permanently closed after the company announced they would be closing their doors. Many are wondering what’s happening with the building. Dana Briggs, the city’s economic development director, tells EastIdahoNews.com they are wondering the same thing. Other recently vacated buildings in Idaho Falls include the old Deseret Industries building on E Street in downtown and the old Ernst building at 1545 W. Broadway inside Kingston Plaza. 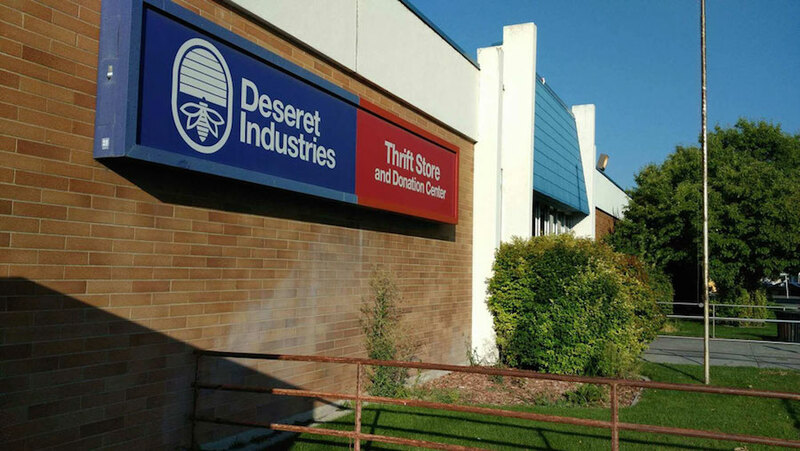 Deseret Industries is a thrift-store owned by The Church of Jesus Christ of Latter-day Saints. The store was shut down in March after a new location opened in Ammon. Briggs says the church still owns the old D.I. and is looking to sell the building soon. During a conversation with the church a couple months ago, Briggs says they indicated the building would be up for sale some time in September. The city has also discussed their ideas for new tenants of the property with the church. One of those ideas includes a grocery store. “Some type of boutique grocery store would be a good fit for downtown and that corner specifically because it is right next to a residential area,” says Briggs. The city also considered the building for office space. The old Ernst building recently became a U-Haul dealer. Jessica Hidalgo, the general manager of the new location says U-Haul is actively buying old Kmart locations across the U.S.
RELATED | What’s going on with the old Kmart building in Ammon? The old Ernst building used to be a Kmart in 1996. It was then a home and garden center for a while before it became a furniture store. The new location rents U-Haul trailers and trucks, inside and outside storage and portable storage units called U-Box. 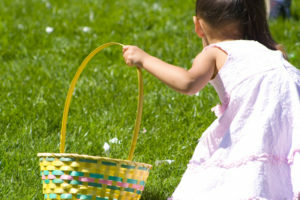 They are open 8 a.m. to 5 p.m. Monday through Saturday and 9 a.m. to 3 p.m. on Sunday. “We are still in the process of closing on the building. After that, construction will start on renovations, including building storage and other improvements. Once it’s complete, I think this new U-Haul location will be busier than the other locations.” Hidalgo says. The U-Haul on Broadway is the second official location in Idaho Falls. The other one is on Northgate Mile. There are eight other locations in town that rent out U-Haul equipment. Hidalgo says U-Haul is in the process of buying the Kmart location in Ammon as well. There are also several projects happening in downtown, Snake River Landing and the INL campus, according to Briggs. 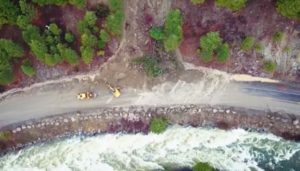 Briggs says an industrial park concept is in the works north of Idaho Falls on Yellowstone Highway. 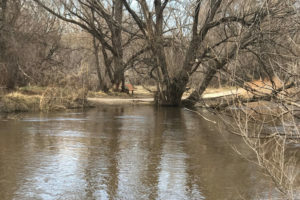 Idaho Falls was recently praised nationally for its close proximity to several major national parks, being home to the College of Eastern Idaho and its draw for millennials. Bloomberg credited Idaho’s economic success to its heavy reliance on international trade. IDAHO FALLS – What is 7 percent of 250? What is 99 + 99 + 99? Which is greater 17/18, 23/30 or 18/19? Would you be able to answer these questions without going through a complicated process? There are more than a few people out there who can’t. That’s why the Mathnasium, a new math learning center, is opening in Idaho Falls. It’s wildfire season and for many people the threat of evacuations can become very real. With a moment’s notice, people must flee their homes scrambling to grab their most precious possessions. For you maybe it’s not wildfires. It could be flooding, wind damage or even just a fire in your home. The Better Business Bureau wants you to be prepared and take some of the basic preparedness steps to help you plan for a natural disaster, which can help ease the stress and anxiety caused if your home is damaged by storms or an accident. Create and maintain an inventory of your personal possessions. Use a camera to take pictures or video of both the interior and exterior of your home as well as your property, including items stored on your property such as vehicles or lawn/farm equipment. Maintain receipts for all major items. This documentation should be saved in a safe place outside your home, such as in a safe deposit box at your bank or utilize an online cloud storage service to store files or data objects. Keep all of your insurance policies organized and in an easily accessible spot. Review your coverage each year to make sure it is adequate should you have storm damage to your home, vehicle or property. Discuss with your insurance agent what liabilities you might have, if any, should any of your personal items or trees cause damage to neighboring homes or properties during a storm. Be sure to note deadlines for filing claims. Make sure you carry your policy numbers and contact information for your insurance company with you at all times. Create a basic emergency kit with the following essentials recommended by the Florida Division of Emergency Management in case of a disaster.